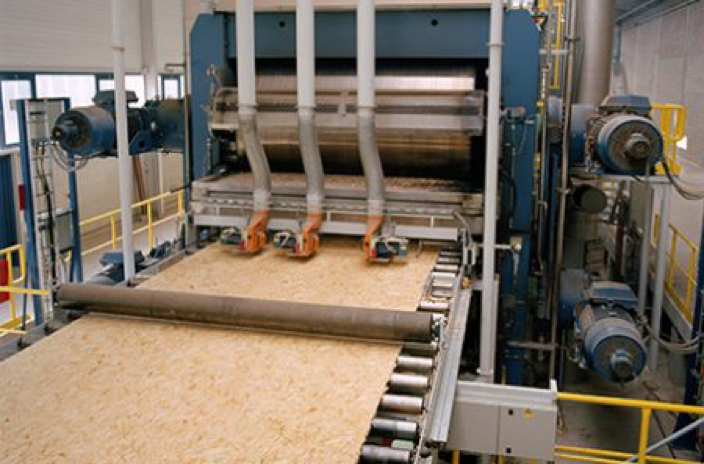 Designed for the production of wood-based panels, the endless steel belts made by the Berndorf Band Group are distinguished by their high thermal storage capacity and exceptional operating characteristics. Their outstanding product quality, which will last over the lifetime of the product, is ensured by extremely narrow manufacturing tolerances. While always important, the high-quality processing of raw materials is of essential importance when it comes to manufacturing products for interior decoration. To guarantee only the finest product quality, a large number of manufacturers is relying on the dependable stainless steel belts made in Berndorf. The need to adjust the belt properties to the individual specifications of the customer requires that the production methods and material selection be constantly refined. Berndorf Band Group devotes tremendous attention to research and development both in terms of production flows and the processes that are essential to the customer.